Gatormade Inc. is a nationally known brand name for top quality trailers, trailer parts, and equipment. Gator Made offers factory direct sales and has locations in Atlanta Georgia, Charlotte North Carolina, Cincinnati Ohio, and Nicholasville, Kentucky. 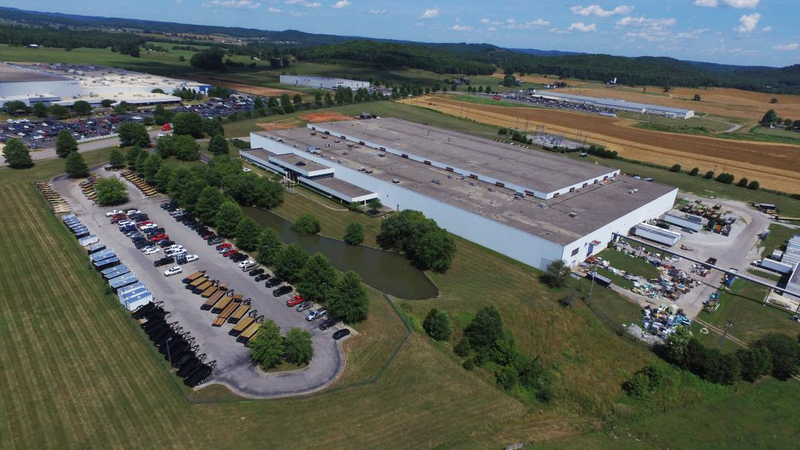 Gator USA trailers are manufactured or distributed at our corporate headquarters in Somerset Kentucky. Gatormade also has a very strong dealer network in the north east United States and distribution centers in most Canadian provinces. Gator Made trailers: Montreal Quebec, Gator Made Trailers Mid Atlantic, which serves Nova Scotia, Newfoundland, New Brunswick, and Prince Edward Island. Gator Made Trailers serves Winnipeg Manitoba, Calgary Alberta Canada, Edmonton Alberta Canada, Red Deer Alberta Canada, Grand Prairie Alberta, Saskatoon Saskatchewan, and Toronto Ontario Canada. The year 2002 marked the beginning of Gatormade’s manufacturing of Gooseneck Trailers due to customer demand. This line of trailers includes GVW ratings from 14,000 to 25,900 lbs. The year 2003 marked the introduction of our Industrial Series Trailers. These trailers were designed with heavy equipment in mind with 10,000 lb, 14,000 lb, & 16,000 lb GVW ratings. These trailers are made to withstand extreme conditions and provide years of dependable service to our customers. The year 2004 marked the introduction of the Elite Series Gooseneck trailers in both 16,000 lbs, 22,500 lbs, and 25,900 lb. GVW ratings. Market acceptance of this product was fantastic. In 2005 our new line of dump trailers manufactured as bumper hitch and gooseneck models were introduced into production and have been a highly successful part of our line to date. In 2006 the marketing of our Heavy Equipment Trailers, the Elite Series, Dump Trailers, and the introduction of Cargo Trailers to our lines have become a great asset to us and our customers. In 2007 we took the company international marketing to Canada, Nova Scotia and New Foundland. In 2008 we moved to a new 300,000 sq. ft. manufacturing facility. In 2009 factory direct sales, along with our dealer network marketing plan proved to be very successful in the USA and Canada! 2010 is the greatest year yet in the expansion of Gator Made, Inc., with new products that have enabled us to make great advances and superior innovations in the trailer industry. 2011 has seen great advancements with the addition of an in-house powder coating line to further ensure the quality and inherent value in all Gator trailers. Customer acceptance of the new powder coated finish has been phenomenal. Tilt equipment trailers have been added to the product line allowing us to fill another nitch in the industry.